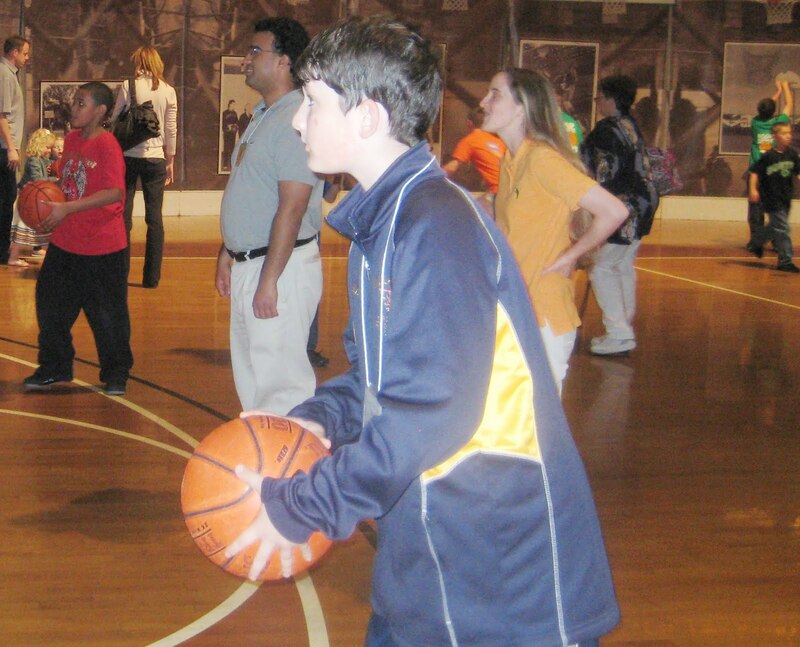 Practicing at the Basketball Hall of Fame. 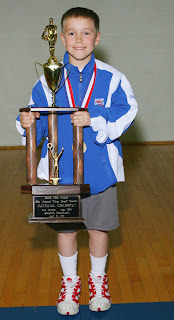 I attended my first National Hoop Shoot Finals on Saturday, April 30, and what a contest it was! I had heard for weeks how dedicated the contestants were and how much they practiced, but all the talk didn’t prepare me for what I saw on Saturday. Kids ages 8 to 13 were sinking free throws better than NBA players. It was my job to enter scores online for the up-to-the-minute shot tracker. I found myself mesmerized by the consecutive sunk shots, so much so that it was a challenge to stay focused on my job. (Don’t worry though, I entered all the correct scores for those of you who followed along at home on Saturday). After watching all 72 contestants step to the line, it was time for a shoot-off between Henry Westphal from Portland, Maine, Lodge No. 188 and Jerrick Rydbom from Blairsville, Pa., Lodge No. 406. The two were competing for the prestigious Getty Powell Award for best overall shooter among the boys. Having both sunk 25 out of 25 during the contest, the race was on for best shooter! Now, I had heard shoot-offs were exciting, but this was something. The whole gym was silent as Henry and Jerrick completed a tense eight rounds. Ultimately, Henry won the shoot-off, but they are both winners in my eyes for having sunk so many free throws (and looking calm while doing it!). While the boys were having their shoot-off, Kendal Cloninger from Gastonia, N.C., Lodge No. 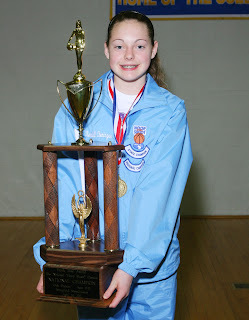 1644, was enjoying her title as the girl’s Getty Powell Award winner after shooting a perfect 25 out of 25. Her perfect score didn’t surprise me, though. Every time Kendal stepped up to the line, I knew her shot would go in. Her poise, confidence, and follow through were amazing. Kendal relaxes after scoring a perfect 25 out of 25. After hearing about the National Hoop Shoot Finals for almost two years, being at the actual contest far exceeded my expectations. From Harika to Destiny, Logan to Conner, every shooter amazed me and I’m excited to see where they will go in the future! Every parent, contestant, and volunteer I met during the weekend was nicer than could be and I am so grateful I got to see such a wonderful program in action. As I sat at the banquet on Saturday night looking at the kids’ smiles and their proud parents, I was reminded of how much the Elks do to empower America’s youth. In 2011-12, the Elks National Foundation allocated $809,275 to fund the Elks National Hoop Shoot Free Throw Program. For more information on the Hoop Shoot, visit www.elks.org/hoopshoot. Congratulations to all the winners! What an accomplishment!